On three different continents over 3,000 players signed up to play standard at a Magic Grand Prix this weekend. 1,246 of them came to Warsaw, Poland to turn their skills into arguments for the best decks in Standard. If there was one thing to learn from Pro Tour Ixalan last weekend it was that Energy decks were a strong contender, and nothing in Warsaw pointed in another direction. But a Grand Prix contains much more than the story about the winning decks. Here are some of the stories that stood out in Warsaw this weekend. 30-year-old Hannes Kerem might not be the most intimidating Estonian you've ever encountered. Even though he was lurking around the top tables all weekend you could easily miss him if it wasn't for his yellow team shirt. With a low key sense of humor he seemed more interested in talking about side event drafts than what he thought about his chances of making, or winning the Top 8. But when it came down to the games, he delivered savage beatings that echoed of the Infect deck in Modern. His deck was based on powering up Electrostatic Pummeler with enough energy and power to kill his opponents in one single blow. With cards like Attune with Aether and Servant of the Conduit to gain enough energy and Cartouche of Knowledge and Larger than Life to attack through any blockers, all while protecting his precious Pummeler with Blossoming Defense. Something that made Kerem himself name the deck "Blue-Green Hexproof". After he finished Day One undefeated Hannes Kerem calmly exchanged stories about attacking for 144 damage in a single turn, or for a lethal 24 damage as fast as on turn five. All while keeping his calm, refusing to get seemingly excited about his wins. At the end of Day Two he secured his spot in the final eight with an intentional draw in the last round, putting a third Grand Prix Top 8 performance to his resume. Once there he quickly fell to Louis Bachaud's Sultai Energy though. And the Pummeler deck brought back a different deja vu of Modern Infect – the way the deck looks when all your creatures meet removal and you end up with a hand filled of nothing but pump spells. Regardless the Estonian sports trader put up an impressive performance and it was a delight to see him make it all the way to the final eight. While the current standard seems to be a lot about casting creatures like Long Tusk Cub on curve, it also has some impressive combo finishes that can close out games quickly. Hannes Kerem proved that he is the master of winning in one attack with Electrostatic Pummeler, but it was a completely different combo that took both commentators and viewers by surprise on the first day of competition. In round six Lars Rosengren and his Black-White Tokens deck found himself up against Kajetan Olas who was playing White-Blue Approach. The players split the first two games and game three was looking to go Rosengren's way after he used Lost Legacy to remove all copies of the game winning Approach of the Second Sun from Olas's deck. His only problem – the match was running out of time. When time was called Rosengren had two copies of Anointed Procession in play along with an active Adanto, the First Fort. But Olas had gained a ton of life with an Authority of the Council and it looked like he would be able to stay alive long enough to earn a draw, holding a hand full of Cast Away, Fumigate and Negate. Rosengren started his very last turn with eight 1/1 soldiers and nine Treasures generated by a Treasure Map against Kajetan's 30 life. Commentator Frank Karsten summed things up accurately with "I fear this is going to end in a draw". 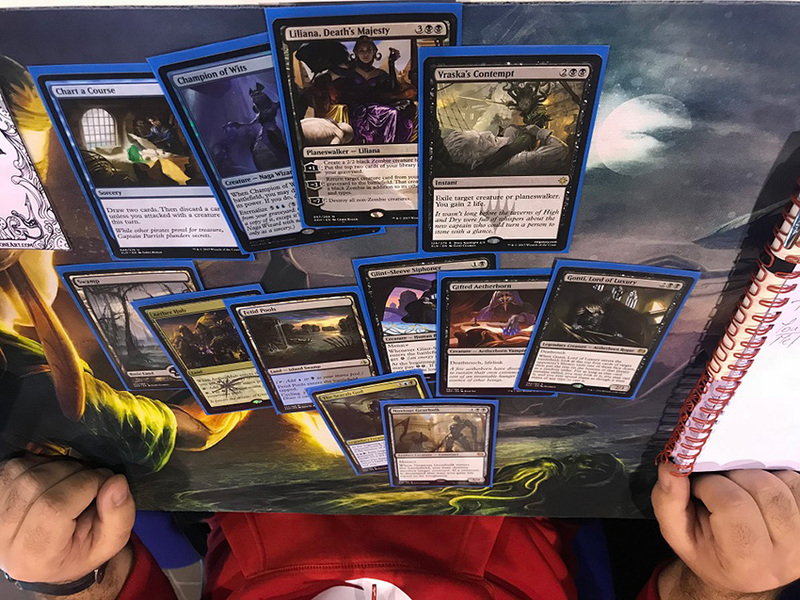 A deck that caught the coverage teams eyes early was an odd looking Blue-Black deck that won two trials on the Friday leading up to the tournament. It turned out the be build by the Romanian national Champion Valentin Roman. Who had been brewing it for months and ended Day One with an undefeated 8-0-1 record. "We had our nationals late in September, and after that I started building decks to test for the new Standard. 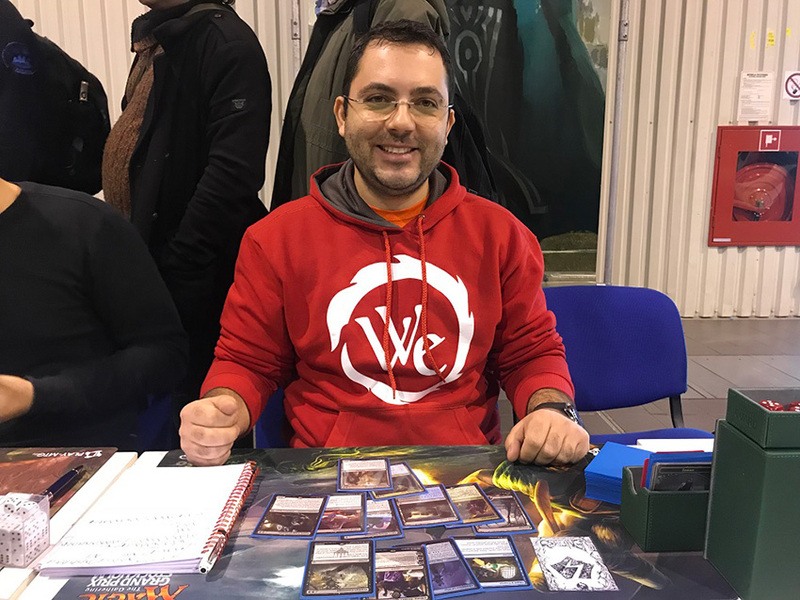 I tested a bunch of decks but what I've come up with so far seems really good and we are three people playing it here in Warsaw this weekend", he explained. Valentin Roman looks happy after piloting his Blue-Black midrange deck to an 8-0-1 record on Day One. The deck is base Blue-Black and what at first glance might just look like a bunch of good stuff creatures, removal and Planeswalkers actually has some pretty sweet synergies in it. Cards like Champion of Wits and Chart a Course set up for some powerful reanimation targets for Liliana, Death's Majesty. "The general idea of the deck is to stall a little bit early, and go through your deck to find the big threats and either reanimate them or cast them if the game goes long enough. Several times this weekend I've cast Champion of Wits on turn three, discarded Noxious Gearhulk and put it into play with Liliana, Death's Majesty on turn five, and the game has been won right there", said Roman. According to him the deck has strong match-ups in the expected field, and he even found some spicy solutions to the problems he encountered in testing. "Temur Energy is a good match-up, but when they started playing the full four copies of Whirler Virtuoso I kept losing to Thopters, so I added a Demon of the Dark Schemes to the deck, which works really well against them." He explained how the deck actually started out as as Blue-Black Control, but when he kept losing to Mono-Red he wanted a more proactive game plan and went for a more creature based strategy. The Green was added as an answer to enchantment based removal. Which Vraska, Relic Seeker in the main deck and Appetite for the Unnatural out of the sideboard are good answers to. When he isn't reanimating huge creatures at the top tables here in Warsaw Roman is also preparing for his second World Magic Cup, and his first as captain. So make sure to see what decks he and his Romanian colleagues bring to the Standard portion in Nice in December. If he holds his promise it might be something as alluring then. "I'm trying to get enough Pro Points to be captain again this season, but I'm also really looking forward to playing as captain in December," he concluded the interview. While Day Two ended up being a rough ride for the Romanian captain, his deck sure looks sweet. Black and Blue midrange cards combined with a sweet reanimation engine make up the core of Valentin Roman's deck. The talk of the town leading up to this weekend was without a doubt Temur Energy. The Red-Green-Blue deck has quickly risen as the bogeyman of the format and this weekend was no exception. It was the deck of choice for pros and amateurs alike and among the 13 players with three byes as many as nine of them chose Temur as their deck. If you add the Four-Color Energy deck, which basically is a slightly slower version of Temur with added value from The Scarab God, energy based decks was a very big portion of the field. 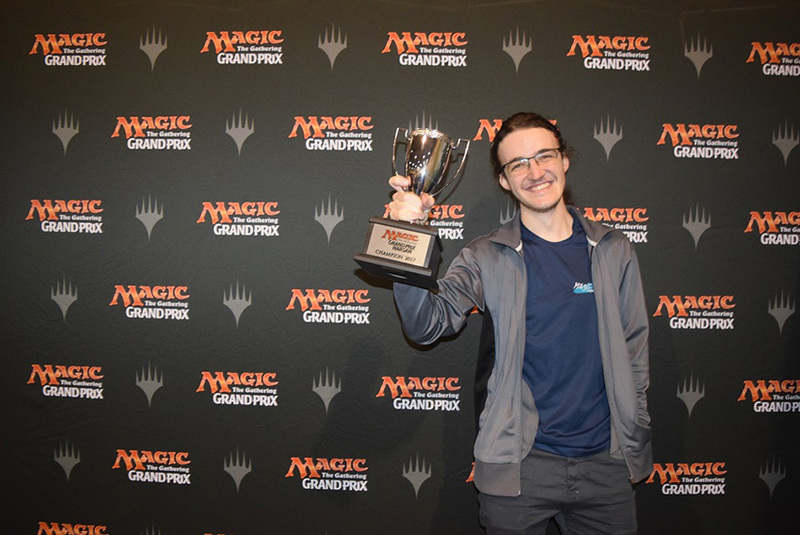 Perhaps Samuel Vuillot described the deck best after finishing Day One undefeated at 9-0 when he dubbed it "Draw Perfect Temur", as it seemed like he couldn't go wrong with the "best" deck of the format. Even Nicol Bolas, God-Pharao couldn't stop him in his last match on Saturday evening. On Sunday the energy based decks put up more impressive results and put five copies in the Top 8. Valerio Luminati being the lone pilot of the pure Temur version. Samuel Vuillot, Jean-Emmanuel Depraz and Grzegorz Kowalski all opted for the splash for The Scarab God and Louis Bachaud followed in Pro Tour winner Seth's Manfields footsteps with Sultai Energy. Earlier on Sunday Temur Energy also took home the trophy at Grand Prix Shanghai in the hands of Song Huachao. And it looked like it was doing well at the Grand Prix in Atlanta as well. Three different continents where Magic players simultaneously was having great success with Temur Energy. What a time to be alive for energy lovers! But, are there no mirror breakers for the energy based decks? Surely you can come up with something when you know that you will play against the same deck a lot? Oh certainly, but the problem is that everyone have them figured out already. So whether you overload on Planeswalkers, River's Rebuke or Vizier of Many Faces your opponent's are likely to be packing the same package. On the plus side, the mirror match looked to be very skill intensive and every turn needs perfect resource management not to fall behind in tempo or on the board. So, if you are the kind of player that likes to pick up the "best" deck of a format, it looks like you should make sure to bring enough dice and something to keep track of your energy count with, whether it's for a local FNM or a PPTQ. A player that put up an impressive finish, but didn't quite make it all the way to the Top 8 was Autumn Burchett. In september she took home the title at the English nationals and showed up in Warsaw piloting what she dubbed "Anti BUG Temur", gunning to beat the Pro Tour winning Sultai Energy deck. On Day One she put up a 7-1-1 record, and on Day Two she kept winning both in and outside the feature match area. In the very last round it was still unclear whether Burchett would make the Top 8 even with a win, but the opposition couldn't be harder as she sat down against Pro Tour winner Ivan Floch, also on Temur Energy. Both deck and player delivered though and in the final turn a Glorybringer copied with Vizier of Many Faces meant that she had dispatch the seasoned Slovak in two quick games. Moving to 13-2-1 and would have to wait for the Top 8 announcement to know whether or not she would make her first Grand Prix Top 8. As it turned out, the breakers weren't quite on Burchett's side this time, and as Sascha Lüscher took 9th she had to settle for 10th, barely missing the prestigious top 8 and a shot at the trophy. In the end though, it was all smiles as she was happy to have her best Grand Prix finish to date. When I asked her about her impressions during the day it was all smiles despite the near miss. "After I won the last round I figured that I probably wouldn't make it, so I was delighted to have my best GP performance so far. I’ve ended up 25th twice before, but never made the top 16. I’m really happy with how I played this weekend and after playing against six energy decks on Day Two I was fairly confident with my plans for the match-up", she said. A pretty sweet warm-up for the upcoming Grand Prix in Lyon, and for the World Magic Cup in December. We look forward to see her and the rest of the English team there. We hinted at it already in the introduction to this article – this weekend had been a lot about energy. And not in the way of players have more mental stamina and high spirits, but rather than the energy based decks doing really well. The finals was no exception and in a classic battle between Four-Color Energy and the more classic Temur Energy deck Jean-Emmanuel Depraz took the title from Valerio Luminati. After switching gears from attacking with two copies of Long Tusk Cub in game one to building loads of energi and slowly grinding out the victory with Thopters from a Whirler Virtuoso in game three. Even carefully holding The Scarab God in his hard to play around Confiscation Coup from his opponent. Impressive play and an impressive showing of Four-Color Energy! 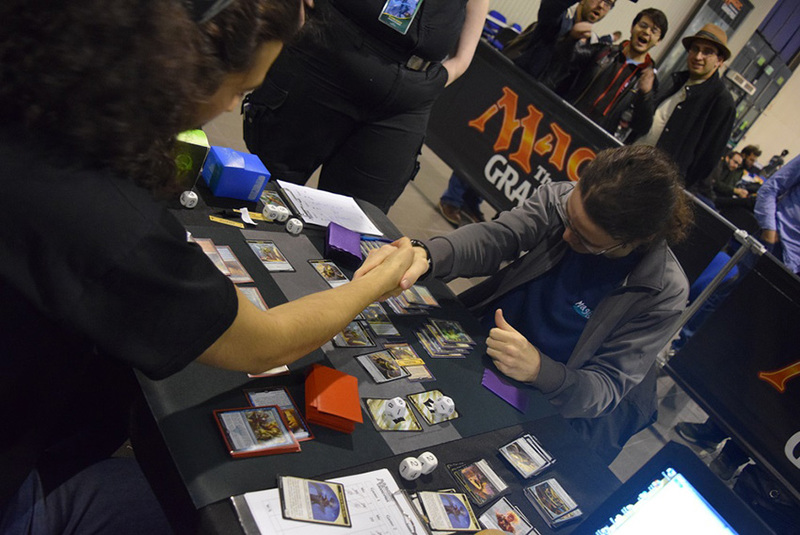 Nothing seals the deal after a long weekend of Magic as the handshake congratulating the winner of the tournament. Handshakes and hugs were all around after Depraz happily raised the trophy in a energetic manner. In a final between two young players with no previous top finishes it was the 22-year-old Frenchman who ended up having the most energy left after the match finished. 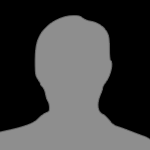 Jean-Emmanuel. A happy, but tired winner with just enough energy left to lift the trophy. Perhaps Martin Jůza summed up the weekend best with a tricky homework for the coverage team’s own mathematician Frank Karsten. @karsten_frank quick guess, how much energy do you think was gained at #gpwarsaw? One of the big philisophical questions that will puzzle Magic players for decades to come.